Il ricevimento si tiene il lunedì ore 11.00-12.00. 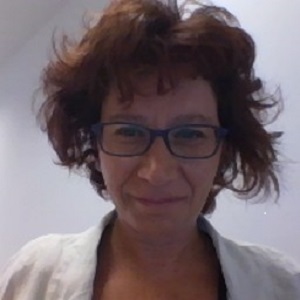 Prof. Chiara Turati, PhD. She has a permanent position as Associate Professor at the Department of Psychology, UNIMIB. Her research interests focus on early child development, with specific reference to the domain of action understanding and face processing. As Principal Investigator, Chiara Turati coordinated a European Research Council Starting Grant. She is also part of a H2020-MSCA Innovative Training Network. Her contribution to a better understanding of early development has been recognized internationally through more than 50 publications. She coordinates a lab for the study of children’s development through behavioral (visual preference and habituation paradigms) and neuropsychological measures (electroencephalography, EEG; event-related potentials, ERP; electromyography, EMG; skin conductance response, SCR). She now serves as President of the Master Course “Psicologia dello Sviluppo e dei Processi Educativi”. > Origini e sviluppo della capacità di comprendere le azioni altrui. > Origini e sviluppo della capacità di comprendere le emozioni altrui. > Sviluppo delle competenze cognitive nel primo anno di vita. > Lo sviluppo della percezione dei volti.